Matthew 6 and 7 continue the Sermon on the Mount. Studying to find context for Jesus’ teachings can really enlighten us as we read these chapters. 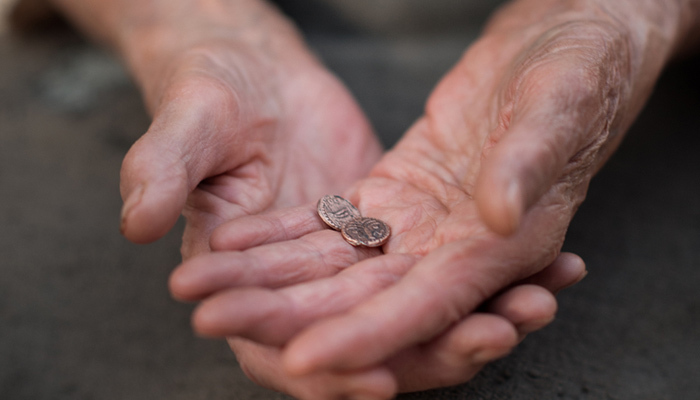 In Judaism, almsgiving includes any kind of charity, and the belief is that generous giving of alms brings abundance to the giver temporally and spiritually. Jesus, however, makes a direct reference to adding donations to the temple treasury where people were in the public eye. The story of the “widow’s mite” is found in Mark 12: 41 – 44 and Luke 21: 1 – 4. Jesus comments to His apostles that the offering made by the widow is greater than the offering made by the rich, because she gave all she had, even though the amount was so small. Her offering of two mites equaled the smallest Roman coin, worth just a few minutes of work for the laborer. But Jesus knew the heart of the widow and knew that her offering was not just a huge sacrifice, but that it was sincere, and not to be seen of men. In fact, her tiny offering may have been embarrassing for her to make. Note that in the Matthew verses, Jesus says, “Therefore when thou doest thine alms, do not sound a trumpet before thee….” This is a play on words because the location for giving alms to the temple treasury consisted of thirteen trumpet-like receptacles of brass. They were shaped like this so the person making the offering couldn’t take the coins back out, simply pretending to make an offering. These trumpet-shaped receptacles were used also by Christians until about 400 years after Christ’s birth, when alms-boxes completely replaced them and were located in churches. Note that offerings into the temple treasury were for temple use. Jews were expected to make other offerings to support the poor. You might want to reflect with your family on the methods we use in the Church today to pay our tithes and offerings. These offerings are completely private. There are no plaques in Latter-day Saint churches like this one. In some churches, there is a plaque on each pew honoring those who donated the money to pay for it. You might also want to discuss tithing settlement, where our honest statement of having paid a full tithe is acceptable to the bishop and the Church. It’s really worthwhile to understand how the people of the times understood prayer and then it’s easier to see what Christ was trying to teach them. The earliest recorded prayers in the Bible are those of prophets like Abraham conversing directly with God. Thus, personal prayer has always been part of Judaism. When the Jews were taken into Babylon, they adopted the language of Assyria and Babylon, Aramaic. Since the Greek Empire had swallowed up all of the Middle East 300 years before Christ, the universal language and language of the marketplace at the time of Christ was Greek. An educated person would have learned Latin to be able to communicate with the Romans, and there were certainly dialects. When the Jews returned from Babylon, their prophet, Ezra, was very concerned about their loss of Hebrew, which was the holy language of the scriptures. Ezra was worried about the purity of their petitions to God, so he formulated 18 written prayers to be said for certain situations. The Jews recited these prayers morning, noon, and night, as sacrifices were offered in the temple (morning, afternoon) or finally consumed in the evening. These prayers (now 19) are offered currently four times on Sabbaths and holidays, and five times on Yom Kippur (Day of Atonement). At the time of Christ, with all that the Jews had been through and were going through, prayer became a petition for all of Israel as a nation and not just for the private needs of the individual. Many prayers were reserved for gatherings of Jews into congregations or in synagogues. Also, women were not required to do any religious observance under the Law of Moses that had a time or seasonal requirement to it, because they were engaged in doing good within their families. Jewish law says doing good in one way need not be interrupted by the requirement to do good in another way. Because they were normally less educated than men, they also did not learn rote prayers or read them. A prayer from the heart at any time of day or night suited them, and now this scribe who spoke with authority from God was ratifying the kind of prayer they had full access to. The Jews needed to be reminded how to truly engage in personal prayer, and that they could do it any time in private. There are some lessons for us in the Church that you may not have noticed. Verse 7 is a lesson that few understand. Knowing that verse, we worry about praying about the same things every day, but if that is so, we misunderstand the verse. The word “vain” has two meanings. One is self-aggrandizement (think about the Zoramites and the Rameumptum), in other words, praying to show off. The other definition of “vain” is “useless.” Note that Christ is referring to prayers to heathen gods! Such prayers are useless because they are to idols or Greco-Roman gods that are fanciful and not real. Joseph Smith offers us a corrected translation of verse 13. He translated it as, “And suffer us not to be led into temptation.” God is not the one who leads us into temptation. Joseph Smith retranslated the first verse as the following—“Now these are the words which Jesus taught his disciples that they should say unto the people. Judge not unrighteously, that ye be not judged; but judge righteous judgment.” We live at a time when the only sin is judging others, but in many other scriptures, Jesus talks about righteous judgment. Jesus was very harsh on hypocrisy, however, and when the “mote” in our brother’s eye is a splinter, and the “beam” in our own eye is a building support, we may not be seeing very clearly. Joseph Smith retranslated “I never knew you” in verse 23 to “You never knew me.” What is the difference?